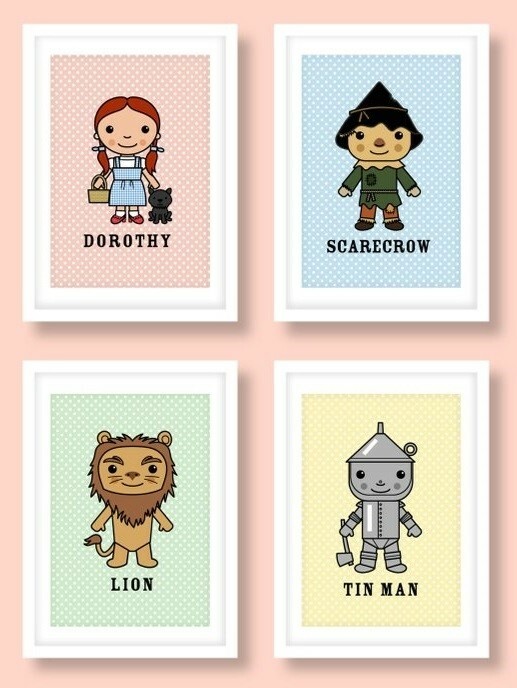 Celebrate Dorothy and her friends with this adorable set of four prints from Mini Heroes! 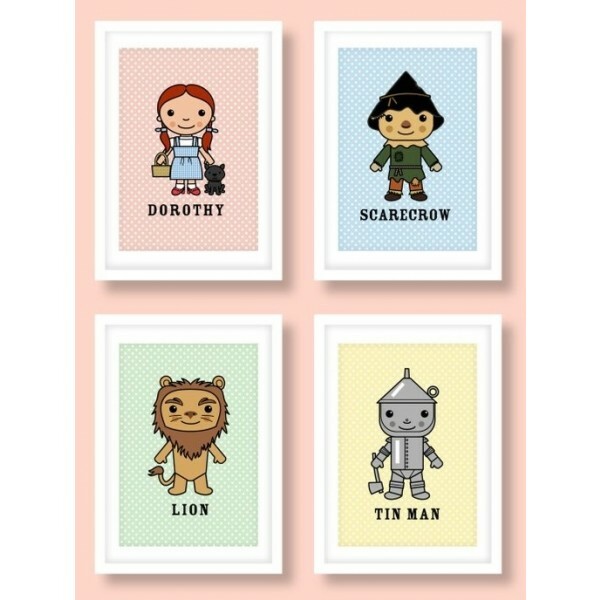 Dorothy, Scarecrow, Tin Man, and the Cowardly Lion all appear in stylized designs, perfect for decorating a child's room. The images are printed on 235gsm archival fine art paper and available in 8X10 and 11X14 inch sizes.